A rendering of the park National Development will build beneath the Southeast Expressway, near its Ink Block complex. A dark and dreary no-man’s land beneath the Southeast Expressway will soon be remade into a new urban playground. 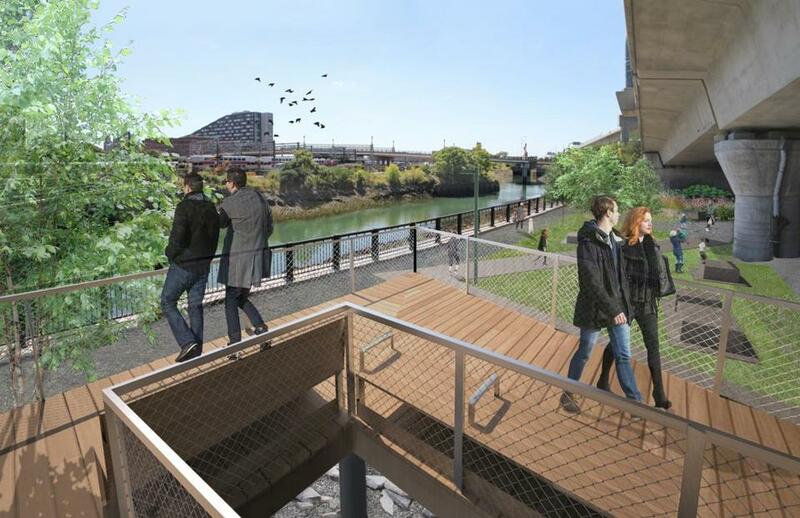 National Development has set a June opening date for the new park — and a new parking lot — on eight acres between its Ink Block complex in the South End and the end of Fort Point Channel on the other side of the highway. Most of the site is an empty paved surface under the highway, between Herald and Traveler streets. The state-owned land has recently been redesigned and landscaped by the Massachusetts Department of Transportation, which is handing it to National Development to manage under a 35-year lease. The developer will dub the place Ink Underground and use it to host fitness classes, concerts, corporate gatherings, and other events. 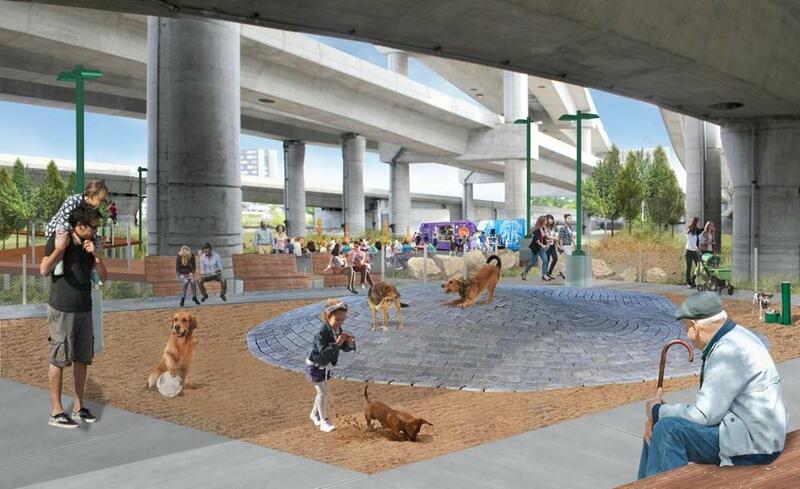 It would also include a dog park and street art. National Development has already scheduled a pair of graffiti festivals, for June and September. At one point, the firm had expected to host the weekly South End Open Market there, but those plans fell through. “”We’re trying to make it into an urban playground and achieve a kind of cool factor,” said managing partner Ted Tye. 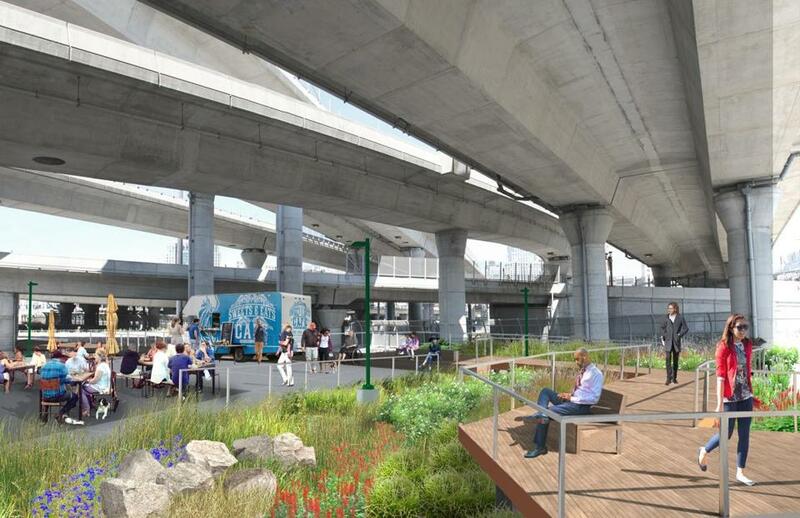 It will also include a new 175-space parking lot and 24-hour security and updated lighting, along with boardwalks and bike paths, which Tye hopes will better connect the South End and South Boston.